Summertime heat can be brutal and often leave us craving something cold and sweet to cool down our bodies and our taste buds! 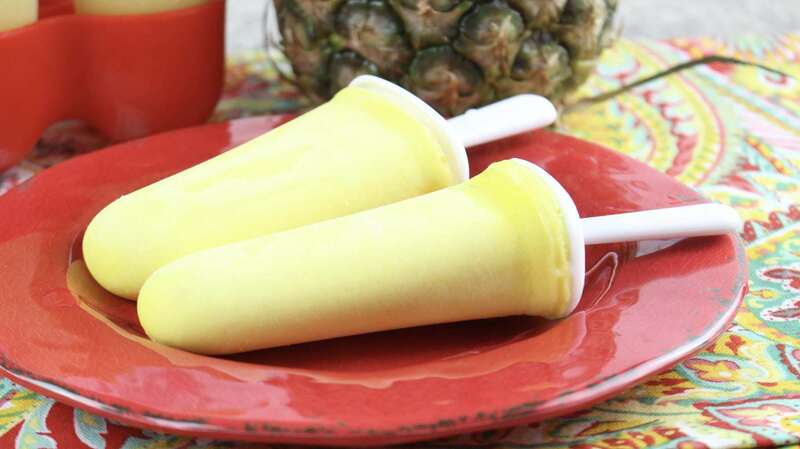 Instead of loading your kiddos up on a sugar rush, why not create your own Dole Whip Popsicles with pineapple? 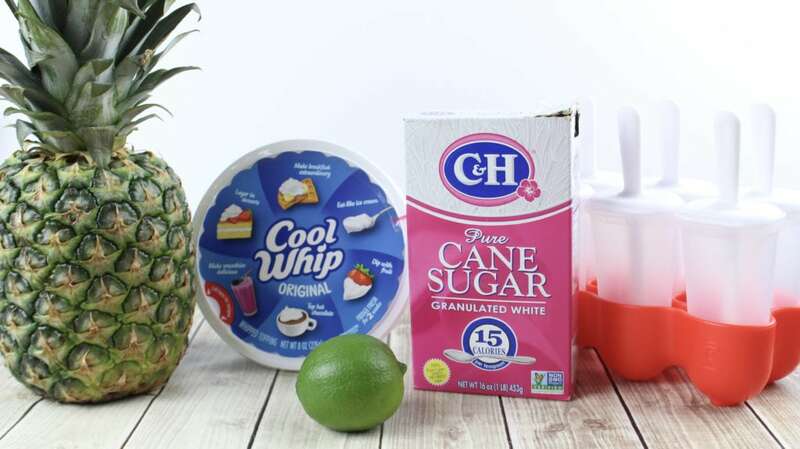 They’re packed full of goodness and flavor, and your children will love how naturally sweet they are, too! While they are great to beat those summer temps, they’re also perfect for sleepovers, birthdays, BBQ’s and even just a light after-dinner treat. 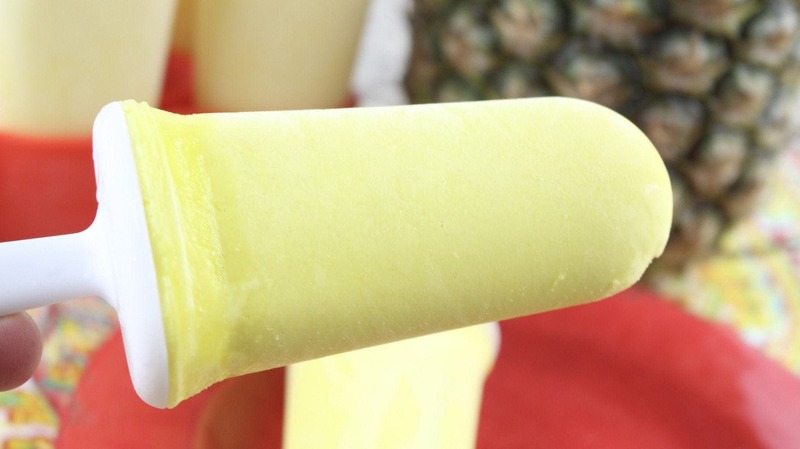 Made with just 5 simple ingredients, you’ll love the ease of this popsicle recipe as well. 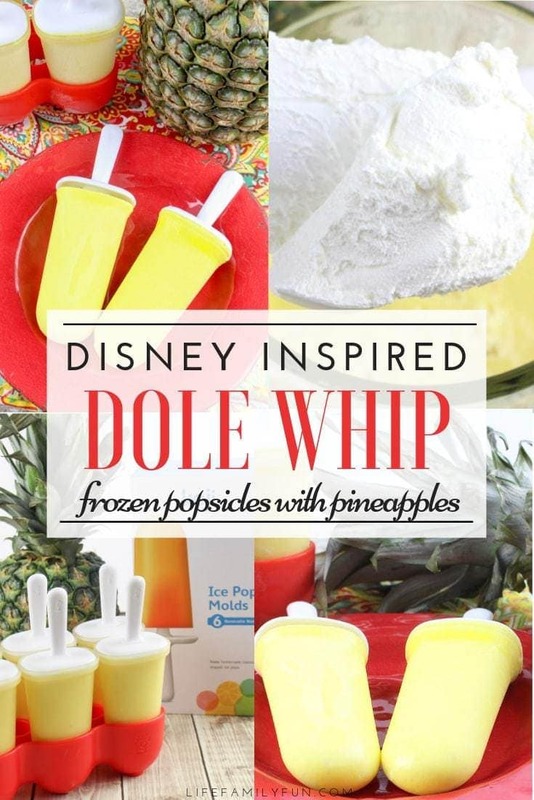 Do you love Disney’s Dole Whip? Being able to bring that same flavor into your home is awesome! 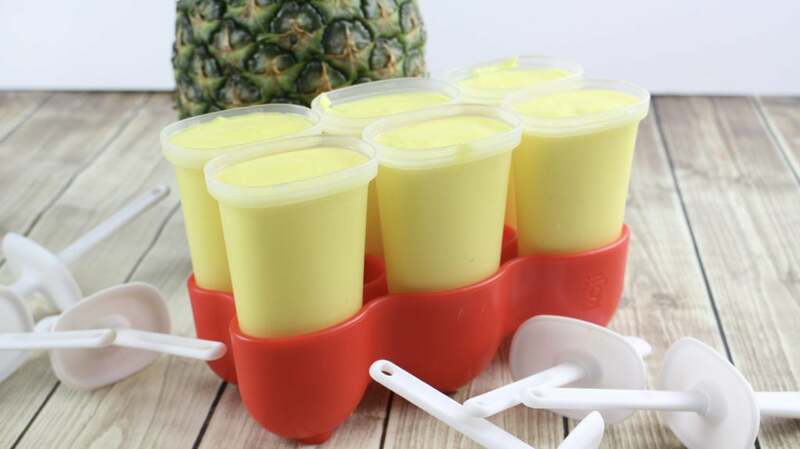 Transfer the pineapple whip mixture into 6 of your favorite popsicle molds, filling up to the top. 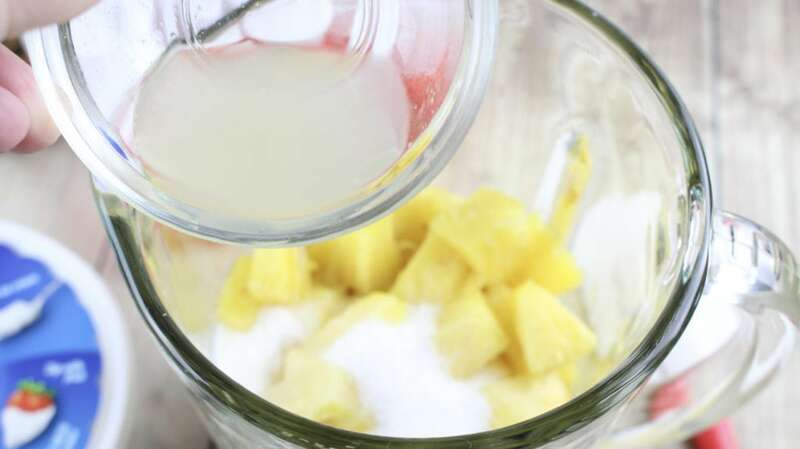 Place the lids on the molds securely and freeze overnight or for at least 4 hours. 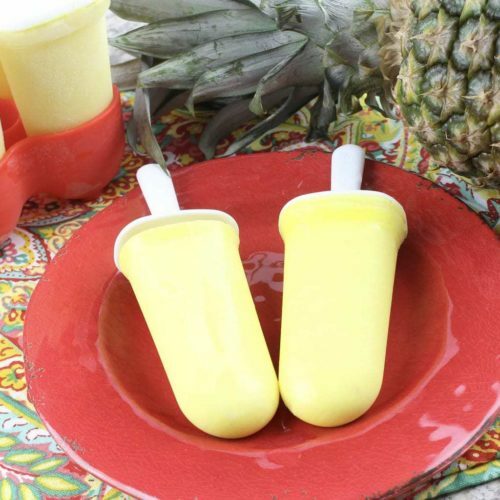 Say goodbye to the long hours spent of trying to think of something sweet and quick that your family will enjoy when you can now have this Dole Pineapple Whip Popsicle recipe as your go-to recipe! 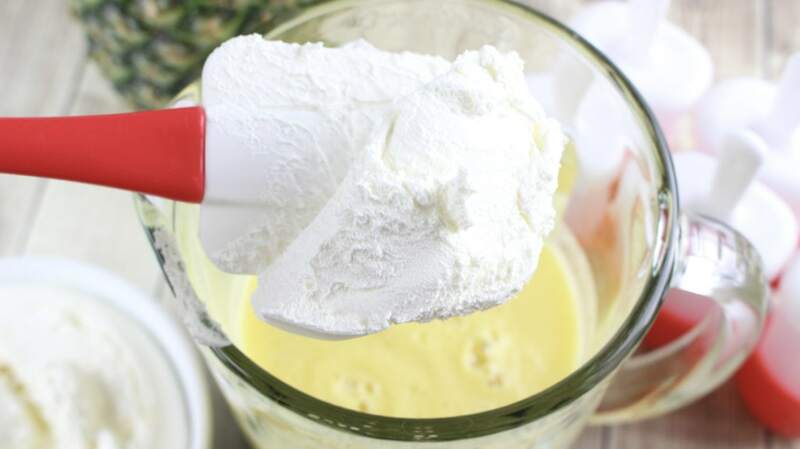 It’s a plain and simple recipe packed full of a ton of powerful and delicious flavors! 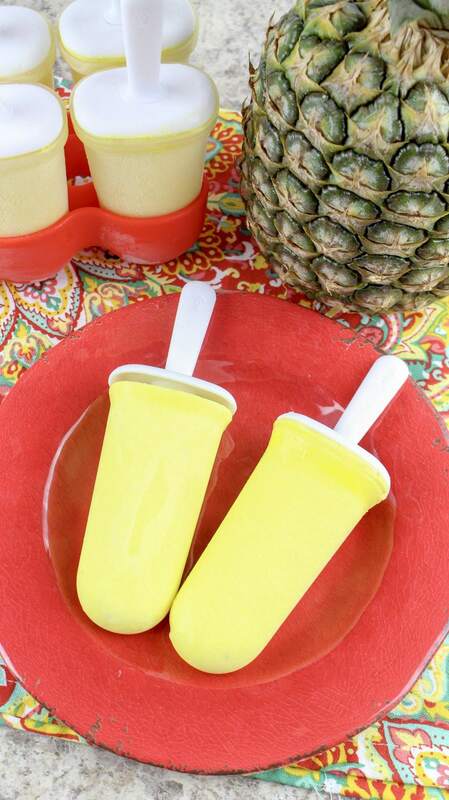 If you love the taste of pineapple, you’ll be absolutely addicted to these popsicles!